We are dedicated to 100% organic farming practices and are currently in the process of becoming certified organic. We are dedicated to the stewardship of our natural resources and have the highest regard for the earth. By using best management practices, soil building techniques, water saving devices, and organic inputs we are improving the land we cultivate. Laughing Mother Farm believes in farming naturally by observing the patterns of our climate to manage our farm ecosystem. Laughing Mother Farm works to build and maintain the rich soils of the Sierra Nevada foothills region. A diverse cover crop is used to increase the soil organic matter, prevent erosion, increase beneficial microorganisms, supplement our nutrient inputs, and fix atmospheric nitrogen. Local, certified organic, hummus-based compost made by Diestel Turkey Ranch is used enrich the soil. These techniques enable Laughing Mother Farm to produce healthy and fresh produce while continuing to build the soil into a healthy, living ecosystem. Laughing Mother Farm is currently in the process of becoming certified organic through the USDA organic practices program. With the assistance of a NRCS grant the certification process will be fully completed by the start of the 2017 growing season. At the farm, we believe that growing our produce organically allows us to provide a healthy, quality product to our customer and also to safeguard the health of the environment. At Laughing Mother Farm, being organic doesn't just mean maintaining the status quo. We take into account the active management of the land and work to increase wildlife habitat, water retention corridors, soil organic matter, and overall plant health by farming organically. Laughing Mother Farm uses a hybrid form of pest management called Integrated Pest Management (IPM). IPM incorporates the use of beneficial organisms to defend against problem pests. By growing specific plants and creating a habitat for beneficial organisms we mimic nature’s pest management system. 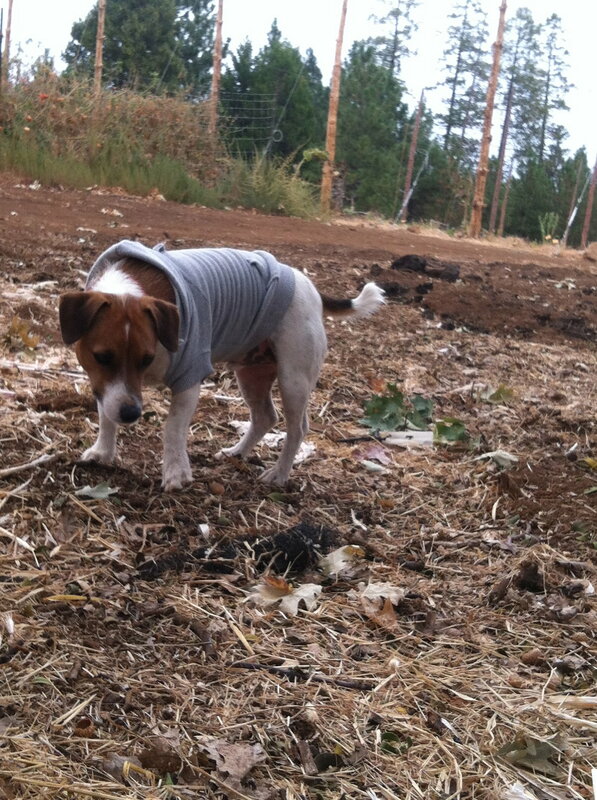 For large pests such as gophers and squirrels we make use of our team of Jack Russell Terriers to dissuade these rodents from eating our delicious produce. It's no secret that California is in drought and that agriculture is well known to be one of the major consumers of water resources. By implementing water saving technologies at Laughing Mother Farm we have been able to decrease our impact on California’s water shortage. We use drip irrigation and lay straw and wood chips in the garden to significantly reduce evaporation and increase soil water retention of the soil.